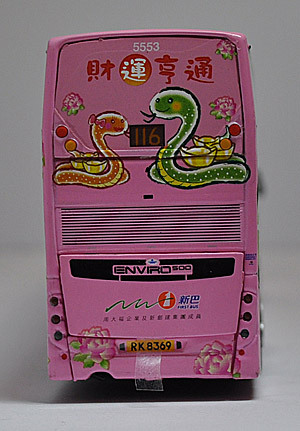 The model - details of this model were first published on this site on 18th January, prior to the actual bus appearing in this livery. Details received on 31st January 2013 confirmed this and the Citybus version (CM083) were set for release on 1st February. 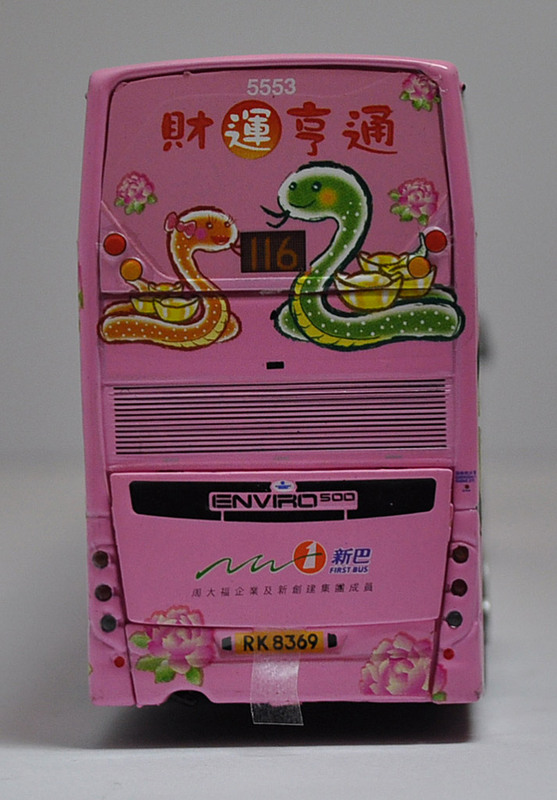 Both models have opening rear engine covers. 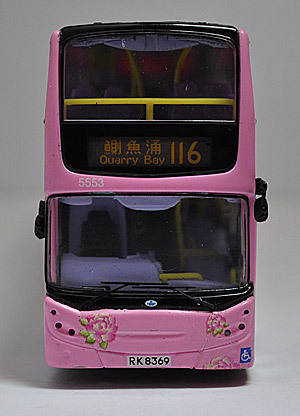 The bus - 5553 is one of the third batch of thirteen 12-metre Enviro500s that entered service in May 2012 (5542-5554). 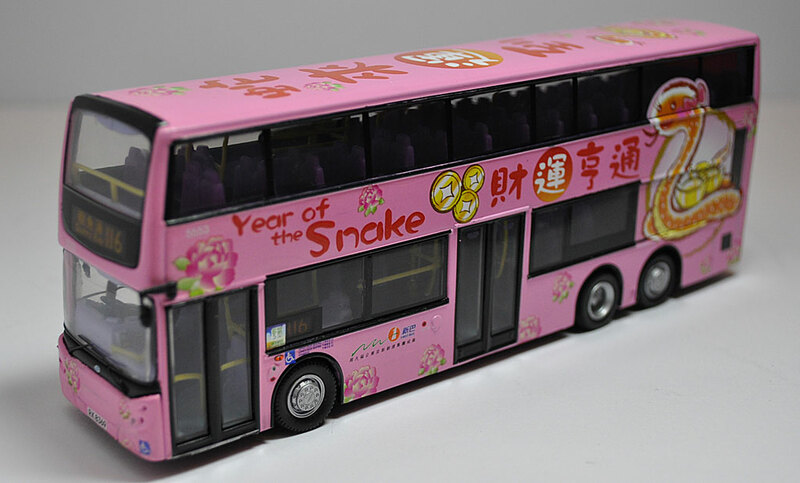 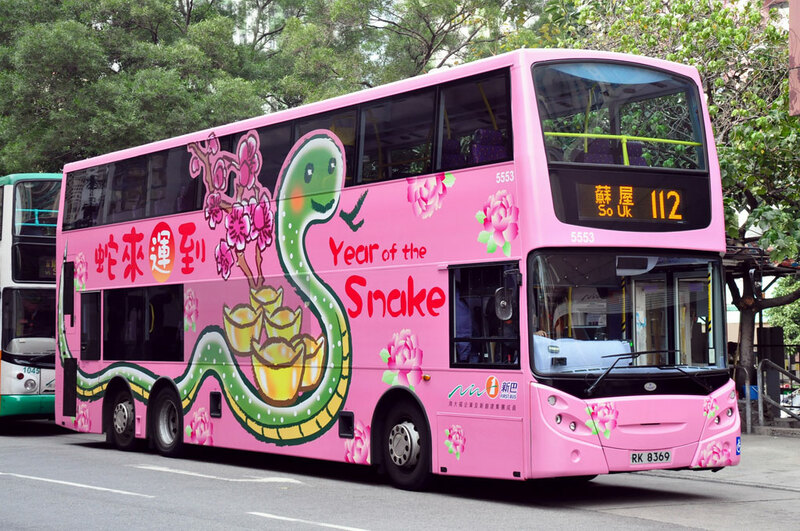 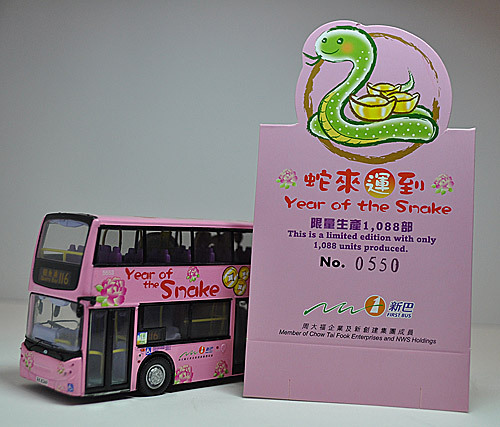 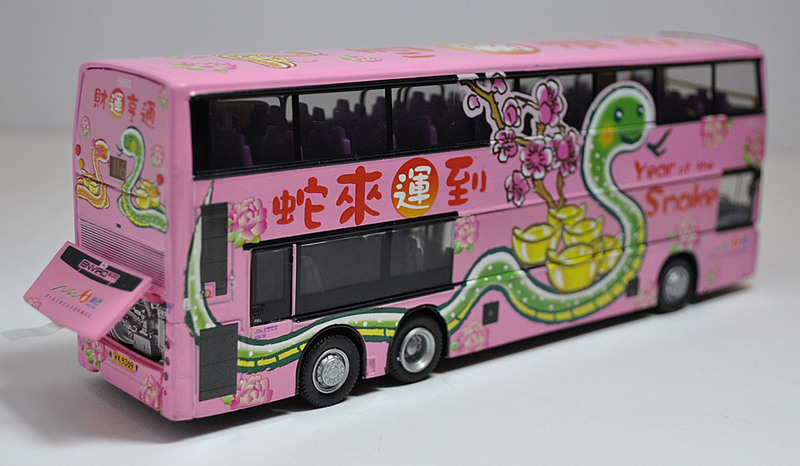 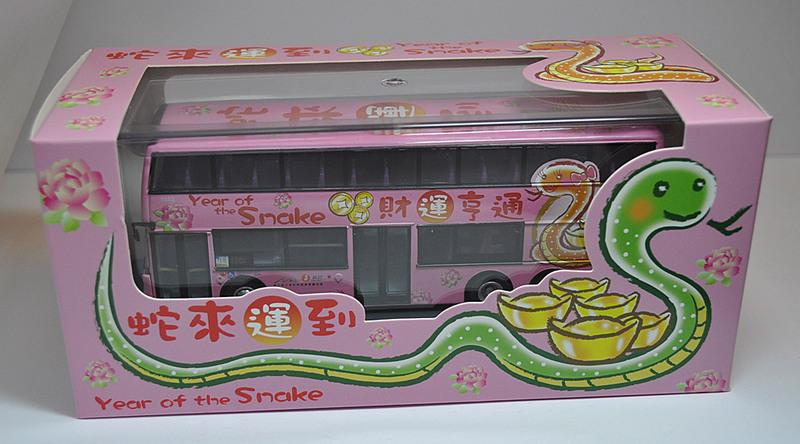 It appeared in this Snake livery on 26th January 2013. Further photographs of the actual bus can be found in the section of the site - just follow this link.